The basis of this work is creating application specific leader follower network topologies that are completely controllable. In particular, single leader networks are considered where the input signal is injected at the leader node and the follower nodes execute a nearest neighbor averaging rule. Under this set up, each network topology can be partitioned into a unique group of follower nodes, where each group converges to a state value that is controllable by the leader node. 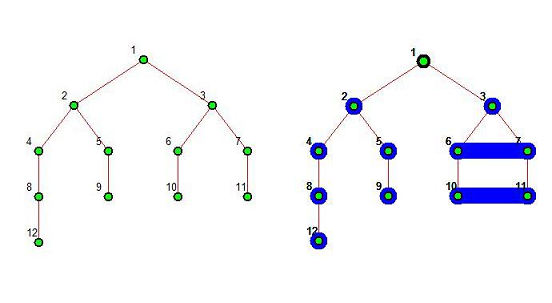 The challenge, however, lies in building topologies tailored for applications that specify the total number of such groups, as well as the cardinality of each group. We’re currently working on developing low complexity algorithms for building such networks. An interesting application of the above mentioned work can be in the field of music. The idea is to simulate a Robot Music Wall, where groups of follower robots will drive around a musically instrumented wall in a coordinated manner, playing different instruments and notes by virtue of their positions on the wall. Our aim is to develop optimal control strategies that will enable the leader robot to successfully drive the followers around, under velocity, acceleration and sensor range constraints, to play a desired musical piece. Currently, we’re working on algorithms for ensuring timely and collision free completion of such proposed music trajectories. 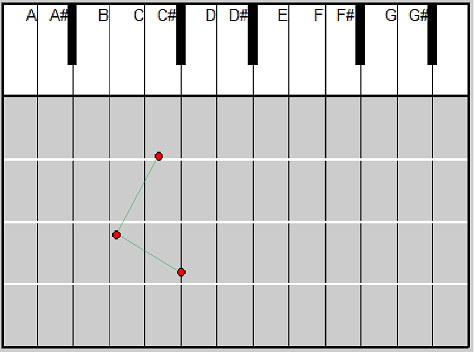 The Robot Music Wall is also a motivating example for studying spatio-temporal routing, and is used as the “instrument” for playing Fur Elise by a bunch of Khepera III robots.